Definition at line 35 of file DominanceFrontierImpl.h. Definition at line 37 of file DominanceFrontierImpl.h. Definition at line 39 of file DominanceFrontierImpl.h. Definition at line 43 of file DominanceFrontierImpl.h. 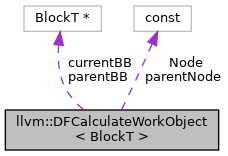 Referenced by llvm::ForwardDominanceFrontierBase< BasicBlock >::calculate(). Definition at line 45 of file DominanceFrontierImpl.h. Definition at line 44 of file DominanceFrontierImpl.h. Definition at line 46 of file DominanceFrontierImpl.h.